BYU announced on Sept. 18 that Elder Gerrit W. Gong of the Quorum of the Twelve of The Church of Jesus Christ of Latter-day Saints will offer a devotional address on Oct. 16, filling a previously empty spot in the schedule. The devotional will begin at 11:05 a.m. in the Marriott Center and will be broadcast live on BYUTV, BYUtv.org, KBYU-TV, Classical 89 FM and BYU Radio. Elder Gong was sustained a member of the Quorum of the Twelve on March 31. Prior to his call, he had served as a General Authority Seventy since April 3, 2010. 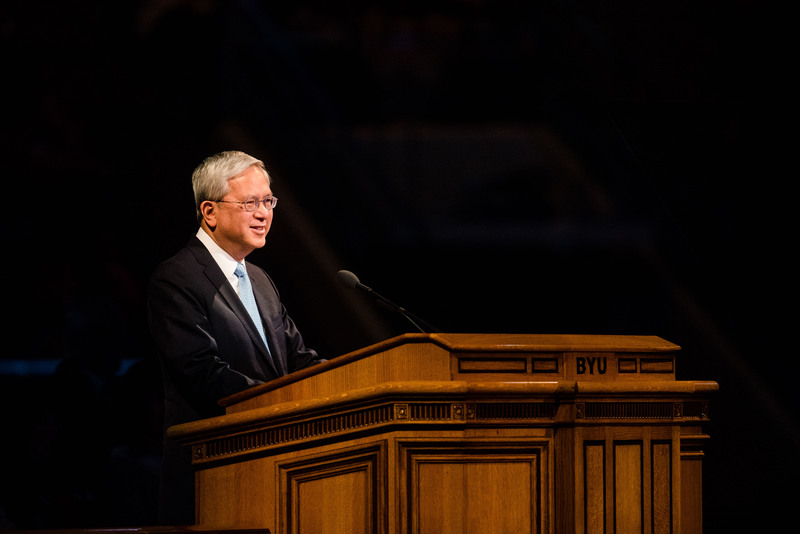 A BYU alumnus in Asian and university studies in 1977, Elder Gong furthered his education with a Masters in Philosophy in 1979 and a doctorate in international relations in 1981 from Oxford University as a Rhodes Scholar, according to Mormon Newsroom. Following his education, Elder Gong served as a special assistant to the undersecretary of state in 1985. In 1987, he worked as special assistant to the U.S. Ambassador in Beijing. Starting in 1989, Elder Gong took a position at the Center for Strategic and International Studies in Washington D.C. In 2001, joined BYU as assistant to the president for planning and assessment, according to LDS Church News.